Outdoor Classrooms can Improve Teacher and Student Well-being! 25% of teachers polled at the Southeastern Alberta Teachers Convention in February 2018 stated that teacher wellness is of the upmost importance in building a healthy school community. We know classroom sizes are rising and as such so are the demands on teachers. The drive for teacher wellness support aligns with statistics stating that 70% of teachers report high levels of perceived stress, almost half report levels of depressed mood, and just under 40% report high job satisfaction. Perhaps taking classrooms outside can help improve the teachers’ experiences. David Suzuki thinks so, read what he has to say here. There is a growing amount of evidence suggesting the link between positive mental health and access to green spaces. For one thing, green space provides an opportunity for increased physical activity which we know relates to improved mental well-being. But, more than this, the research has found that the benefits of being in nature may promote positive health benefits, regardless of whether you are also being physical active (i.e. walking or running). The analysis (Bowler et al., 2010) found evidence of “beneficial changes on feelings of energy, anxiety, anger, fatigue and sadness” (p. 6) associated with the natural environment. So, it’s good to be outside in nature regardless of whether you are taking a jog. So much so that another study found that levels of stress were inversely related to the amount of time spent in urban green spaces (Grahn and Stigsdotter, 2003). This means that it’s not just natural forests that offer these benefits, but also your own urban school yard green spaces. Not only will you find that you are less stressed when spending more time in green spaces, but increased time in nature makes you more resilient. Read this article for more research based evidence on how being in nature can improve your mental health. Students and teachers alike can experience all of the mental health benefits from being outside and in nature. There are also some really positive things that happen when students experience learning outdoors including better academic performance, enhanced attention, increased engagement and enthusiasm, and improved behavior. Further, students that experience a green school yard feel calmer, less stressed and more resilient (the same benefits listed above). When students are less stressed, more enthused, have enhanced attention, and improved behavior teaching the curriculum will become an easier feat. Visit the Children’s Nature Network for evidence based infographics on the benefits of nature and academic outcomes. 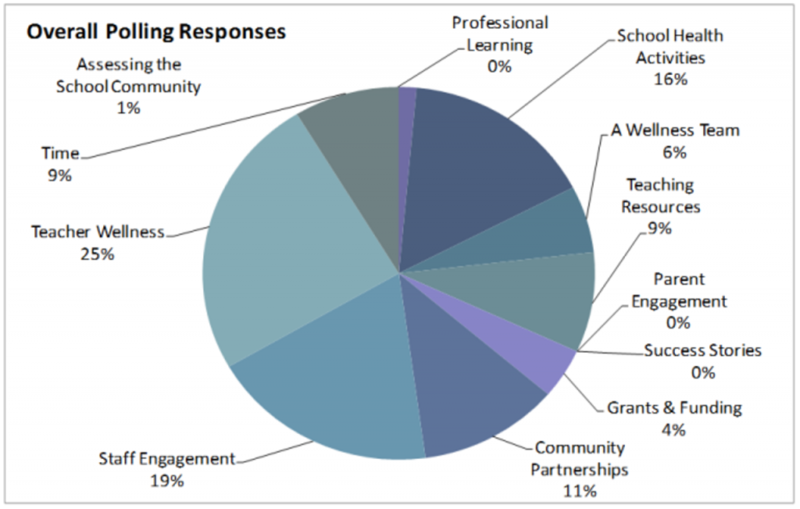 Enable your school to create stronger funding applications to support these initiatives. Provide checklists, details of funding opportunities, planning templates, and inspiring case studies. Focus on Forests Focus on Forests is an online learning tool that provides curriculum linked resources to bring forests into any classroom. Activities, fact sheets, discussion forum, e-newsletter and lesson plans all make learning about forests easy and fun for any grade. The Nature as a Classroom guide answers common questions about how to make outdoor learning fun and accessible. The Connecting With Nature guides include comprehensive classroom and outdoor lesson plans for kindergarten through Grade 8. Outdoor Classroom Day Whether you’re looking for outdoor lesson ideas, resources to encourage others to get involved, or guidance on making outdoor learning and play part of every day, you’ll find it here! 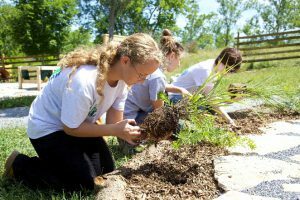 School Community Garden Resources Linking you to more resources on school gardens including grants and more! Grahn, P., & Stigsdotter, U.A. (2003). Landscape planning and stress. Urban Forestry and Urban Greening, 2, 1–18.